Waterloo Region Paramedic Services responded to approximately 39,020 calls in 2015 and cover an area of 1,382 square kilometers. Waterloo Region is the fourth largest urban area in Ontario and the tenth largest in Canada with a population of 568,500. The Region is home to the three cities of Kitchener, Waterloo and Cambridge and the four Townships of North Dumfries, Wellesley, Wilmot and Woolwich. 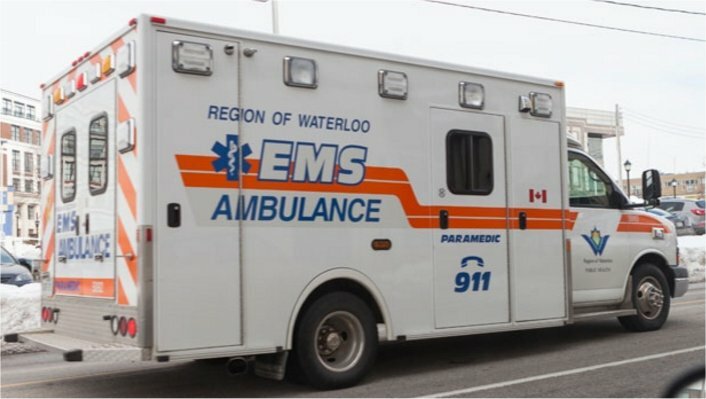 Region of Waterloo Paramedic Services operate from 11 stations within the Region, and serve the population (approximately 535,000). RWPS also provide service to neighbouring areas (such as Oxford, Perth, Wellington and Brant Counties) when ambulances in those municipalities are not available to respond. The latest available information indicates Paramedic Services operate 37 vehicles.